Residents of Yucaipa, CA are loyal to Pride Plumbing Services because of our team of skilled, licensed plumbers and our customer-first mentality. Take a look at our Yucaipa, CA reviews and see why residents call us when they need a trusted plumber. Bryan from Pride plumbing responded to fix a broken main line quickly and was thorough and professional. Was charged a fair and reasonable price. I will call on Pride Plumbing again. Really good service. Quick to respond. A little pricey. Had Jerod, Matt, and Steven out for a large job at my house. They were responsive to my questions and needs and got it done very quickly. Definitely not the cheapest bid I got, but the guys did high quality work. Matt is a great guy and did a thorough and efficient job cleaning our tankless water heater. We will definitely be calling pride again. They were great and super friendly guys. They did a great job and made the process easy. Pride plumbing lives up to there name.very professional didnt give up and was able to take care of my problem. Would recommend them to anyone! Thank you!! I appreciate the timely response for Jared Schnetz coming to my house to begin the leak detection process. He was thorough and conscientious in checking parts of the system for problems, and he communicated with me regularly and clearly about what he was doing and why. I am satisfied that the work done was necessary and done with expertise needed for the task. I believe I was able to understand the repairs needed and understand my plumbing system better. Having no experience with this type of work, I really cannot rate the cost of repairs on the scale noted below. I certainly hope it was above average. Bryan showed up shortly after call made to office. He immediately checked out all known issues, then cleaned sewer line under the house, adjusted the back flow flapper and all appeared working properly. Over night ( Tu 2-26-2019 ) apparently some water, probably pushed and stored up into the standpipes/vents came rushing down in to both house toilets and overflowed into each bathroom. We all thought the pipes were cleared out ( at least the main black water line) so this was a supprise to Tom Payne and our family. We had no idea of an issue like this. Bryan or a team mate from Pride Plumming is checking out the house today, Wednesday 2-27-2019. Bryan did everything correctly from my vantage point, so this overnight supprise is a real supprise to everyone. Hope Wednesday's inspection can uncover the true source of the blockage and also if my theory is correct about the stand pipes. Maybe the stand pipes can be "cleaned out " with a rooter to remove any leaves etc. I am Tom Payne's brother-in-law who called Pride Plumbing, and I believe that the new issue ( Tues. overnight toilet over flow) was a true supprise to everyone. Bryan did the proper steps from my vantage point. From the initial call to set up a time I was impressed by their professionalism. Answered all my questions with kindness. When the technician arrived in a bright clean truck, he was nice, experienced and thorough. I highly recommend Pride Plumbing. 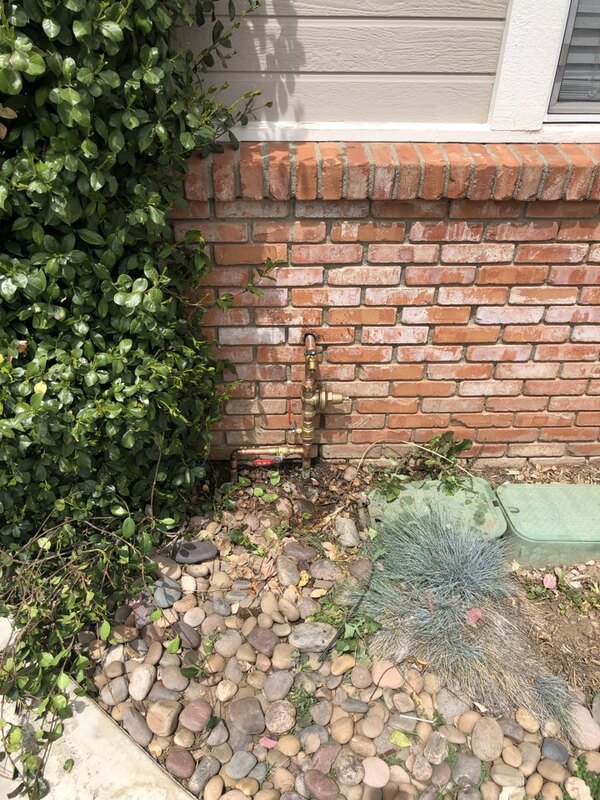 Have used Pride Plumbing several times over the years and have seen the company grow, but still maintain the great Yucaipa hometown honest service. We are so impressed with Pride. Matt arrived soon after we requested help, and did a great job. We will definitely call again if we are in need! Thanks! Ryan completed my repair in a friendly and professional manner. Zion was very good and made me fill safe. Zion was very helpful. Despite cold weather, he spent the time necessary to solve our plugged plumbing problem. Matt is a tremendous ambassador for Pride Plumbing. He was on time, got to work, fixed the problem, and was done before much time had gone by. Thanks to Pride, and thanks to Matt. Quick replacement of our aged water heater with new up-to-code model and installation! Tech communicated often and well - will be back. This is my second time using Pride plumbing and I couldn’t be happier. The service was fast and the plumber, Ryan, was great. He explained all the work and was very personable. Matt was prompt and extremely helpful. Cleared our issue in 15 minutes and explained what had gone wrong to me. Price was very fair for after hours. They were professional, helpful, and kind. Burst water line. Performed leak detection on residential home. Findings of CPVC line bursted in ceiling of downstairs bathroom. Repipe of residence. Run new hot and cold water lines in home. Replace leaking drain pipe. Replace water pressure regulator. Install new drain pipe for bathroom sink. Install new Wilkens pressure regulator. Install new Watts pressure regulator. Replace water heater flex supply line on hot side of water heater. Recommend install of new Bradford white water heater and new Wilkens pressure regulator. Repair Rheem water heater. Called out for Rheem water heater not heating. Rheem heater 17 years in age and requires new Honeywell gas control valve and pilot control assembly. Recommend installation of Bradford White water heater. Install new 50 gallon Bradford white water heater. Install new expansion tank. Install new water heater pan. Install new dirt sediment trap for water heater. New Wilkens regulator required. Finding pressure is too high for residential home. Install new 40 gallon electric Bradford White water heater. Pride plumbing called out to relocate the plumbing for the water water and laundry. Installed 50 gallon water heater and two new Moen shower valves in Yucaipa. 5/16 ice maker line repair. LG fridge. Shower drain line stoppage. Yucaipa.